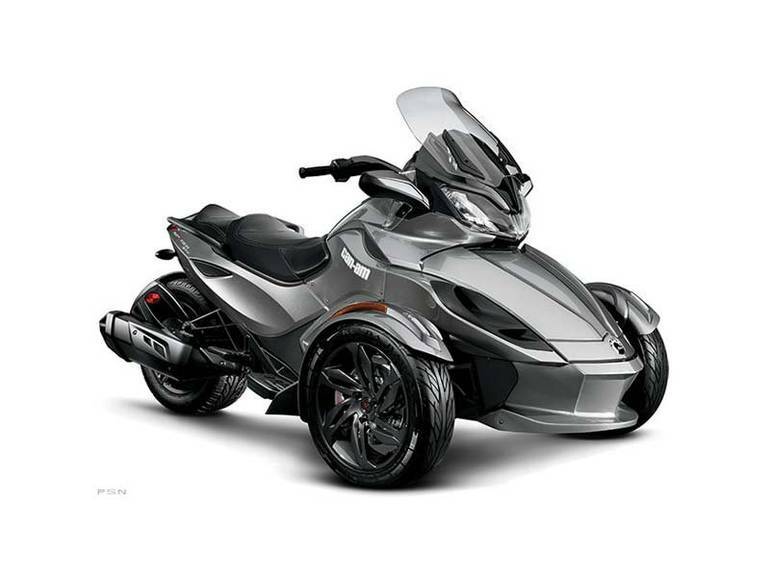 2013 Can-Am Spyder ST-S SE5, PRACTICALLY NEW WITH ONLY 429 MILES!!! - Give sport touring an even sportier look with the Spyder ST-S. From the custom trim package to the 15-inch carbon-black wheels and refined front fender design, it screams attitude. While the rider footboards and electronic cruise control indulge its touring side. Plus, the Spyder ST-S comes with all the features and amenities of the Spyder ST.
All Can-Am pictures are kind of Can-Am HD motorcycles picture was taken, including motor fuel gauge, engine, engine mounts, tires, fuel tank, the car handles, lights and so on, 2013 Can-Am Spyder ST-S SE5 Sport Touring full-screen viewing,2013 Can-Am Motorcycles today Price: $15,999.